All shredders listed on www.binding101.com as “Security Level 6 (P-7),” or that contain “CC6” in the model number, meet or exceed the current NSA requirements for the cross cut destruction of secret and top secret documents. These shredders are listed on the NSA/CSS Evaluated Products List (EPL) ¹ and are approved for all levels of classified data destruction. These levels include SAP (Special Access Programs), COMSEC (CommunicationsSecure), SCI (Sensitive Compartmented Information), and TS (Top Secret). ① Will high security cross cut shredders cut through credit and ID cards, cds, and other media? No, P-7 high security shredding machines will handle paper only. For media and other data destruction requirements, a hard drive destroyer, disintegrator, or optical media destruction machine is required. ② How small are the shred particles? 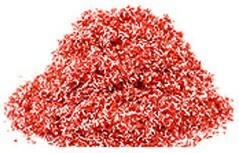 Level P-7 shredders produce shred particles with a surface width that is less than or equal to 5mm, and surface length less than 1mm. The high security shredders at Binding101 exceed these requirements, creating 0.8mm x 5mm particles. This equates to approximately 13,000 particles per sheet using letter size, 8½” x 11” paper. ③ Do high security paper shredders have automatic oilers? This will depend on the shredder model and manufacturer. Automatic oilers can be added to many models, even if not included. ④ What should be considered when buying a high security shredder? You’ve already determined that you need a high security shredder for your sensitive documents, but what other factors should you consider before making a decision on which model to buy? A) Shred Volume: Consider your quantity requirements and daily shred volume for your needs today, as well as into the future. Many customers forget to consider their business’ anticipated growth, and may buy a shredder for their current volume needs without thinking about what they will need in the future. Because we offer only high-quality level 6 security shredders that are built to last for many years of use, it is important to consider what your business or office will need in 5 and even 10 years before you buy. This will prevent having to invest in a new machine as your business grows and changes. B) Paper Size: Choose a machine that will handle the maximum width of your paper, allowing for wiggle room on each end for papers not placed perfectly straight. C) Speed: High security shredders are rated at “reams per hour” speed, ranging between 9 and 17, depending on the machine. D) Shredder Location: Will the shredder be placed close to staff and employees? If so, then consider the noise level of the shredder. You don’t want something that is so loud it will disrupt your team, so usually anything less than 60 decibels would be the best option. Will the shredder need to be moved from time to time? Consider a machine with rolling castors (wheels) on the bottom to allow for easy mobility, especially if the shredder is large and heavy. E) Safety Needs: All shredders will have some form of safety program that will ensure users cannot injure themselves by accessing the blades while running, however, some machines will have more advanced safety technology than others, such as automatic reverse, automatic shut off, and more. Ready buy a high security shredder online? Visit our shredder category and filter your results for “suggested user: government" or look for the “CC6” in the model number. At Binding101 we have an A+ rating from the better business bureau, and we offer free shipping on orders of $75 or more. If you need help choosing the best shredder for you, call our sales team at (866)537-2244 (866)537-2244 .